The theme for Hour of Code this year is creativity. Creativity is not something many people associate with coding, but they are so strongly linked; creativity is a vital part of coding! Creativity is … all about exploring ideas — following them down the rabbit hole, or feeding them with inspiration so that small ideas can become big ones. In any project, you have an end goal, but the creativity helps you work out how you get there, and how fun the journey will be. There are usually a bunch of ways something can be done — can you find the one that lights you up with its beautiful design? Or one that dazzles you with its efficiency? Creativity is… looking at problems from a new angle and discovering surprising solutions. Some of the most creative work of the last fifty years has happened because people looked at old problems through the lens of computing. 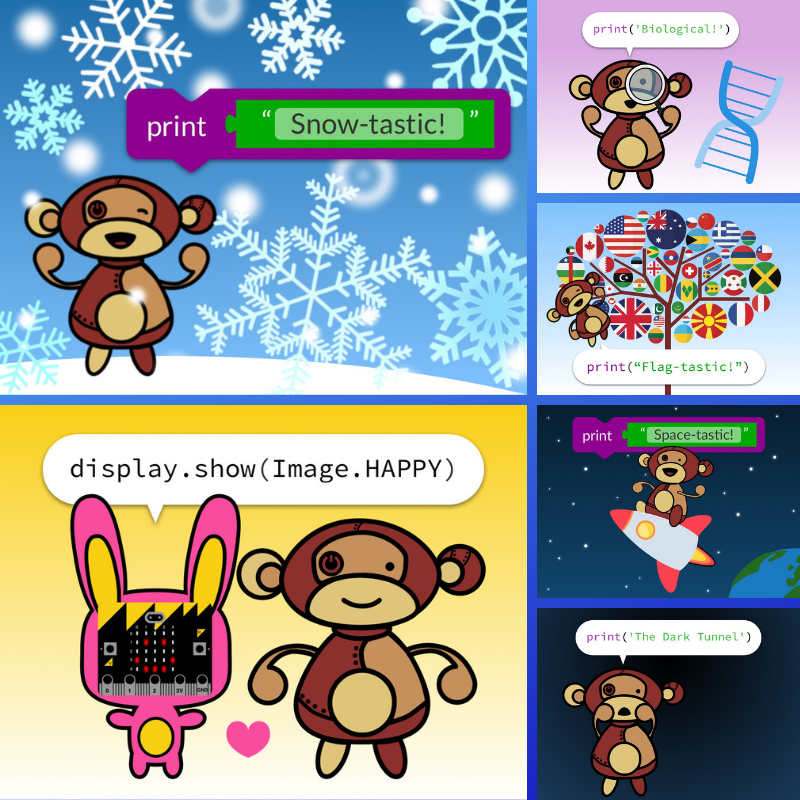 Combining computing with your unique interests, background, skills, and perspective is a great way of finding exciting creative solutions to… anything. Creativity is… designing interesting solutions to interesting problems. Coding is often seen as a regimented, straightforward, “left brain” activity, which is so far from the truth! Conjuring structure from nothing and challenging yourself to work within the given constraints is incredibly creatively fulfilling. Creativity is… taking your unique set of skills, curiosity and perspective on the world, and using it to explore and change how we as humans interact with each other and the world around us. It’s more than just solving problems, it’s looking for problems to solve in new and wonderful places. It’s not accepting that anything has to remain the status quo. It’s questioning everything and seeing how we can make things better, what better means is up to you! Creativity is… trying something new! I think a great use of creativity is to make normal things more fun. Sure, you could run 5km each day, but wouldn’t it be more fun if you had to run away from Zombies? Or wouldn’t it make your day if your train commute included this? Or if you responded to a cancelled flight, not by complaining, but by hiring a plane and starting a better airline? I think there’s room for more creativity in everything we do. Creativity is… working hard to find a solution, and taking different angles and approaches to find what works. It’s refining an idea to make it work as well as possible. It’s taking delight in solving a puzzle. Are you planning on taking part in Hour of Code? What will you create? If you are not sure what activities to do, check out our list of free Hour of Code courses. The courses cover a wide variety of topics, so there is something for everyone! Science communicator with a keen interest in all things STEM.